The people who are the head decision-makers on the group, aka the owners and runners of the sleuth-sayers events. Each have a say in what decisions are made to how things work. Knights of the sleuth-Sayers round table. The person in charge of keeping things within the group running smoothly and on time. Making the groups deadlines possible. The person that handles the sim donation money and payment for the sim on which the event is held. The person in charge of taking notes during meetings, and making sure that all those in the group know what is said during meetings. So that no person in the management feels left out. The person who creates the scripts for the events. The person(s) in charge of writing the story for the event. The person in charge of the animations made special for the event. The person(s) writing about the events on a website or other social network. The person(s) in charge of making the fund raising events. The person(s) in charge of holding the fund raising events. The person in charge of creating and running the event leaderboard. 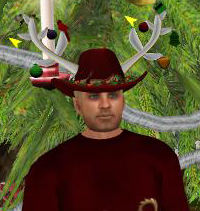 The person(s) terraforming, placing buildings and objects on the sim, or any other decorating for the event. 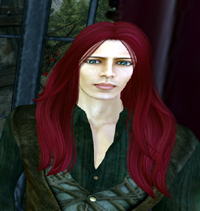 Nathaniel Ballard mostly spends his time in Wicked Wylds, where he is constantly juggling his roles of Town Steward, Husband to the Seelie Faerie Queen, roaming diplomat and most recently, suddenly becoming father to four teenagers. He is known to like a glass of rum now and again. In First Life, his typist lives in England, so keeps odd hours compared to most of Second Life. He mostly works retail, part-time and wishes he could get paid for the hours he spends in Second Life. He has been known to like cats. Somebody Else mostly does other things somewhere else and would probably say something here. It’s actually Albert Reiniger (Albertpoofenschitzel) – Nathaniel’s Alt. THis entry will be replaced as and when the other staff send me pics and stuff.